Pennsylvania’s ongoing battles over possible gambling expansion, including online operations, and a looming state budget shortfall are poised to bring the topic front and center for the state’s legislature as 2017 begins. The focus on how state-licensed gaming will be positioned looms so large that leaders of the state’s 12 licensed casinos have been summoned to the state capital of Harrisburg on January 3rd, the first day the Pennsylvania legislature convenes in the new year. The metaphorical 900-pound gorilla in the room, of course, is the budget hole left by state legislators’ failure to enact an online-gambling regulatory measure in 2016. That failure occurred despite a budget hole being left open that was expected to be filled by revenue from new online operations serving the state’s residents. Pennsylvania is among that subset of US states that constitutionally mandates that the state budget through which all government services and operations are conducted must be balanced. The looming budget hole is even larger than the $100 million earmarked to be filled by online-gambling revenue, but that hole will likely be largely, and another gambling concern that directly figures into next week’s talks is part of the reason why. Last year, among all the other budget battles, the tax-assessment formula used to calculate the amount owed by the 12 existing Pennsylvania casinos was thrown out after a judge ruled it unconstitutional, since it unfairly penalized underperforming casino properties. The old formula was tossed out in September via the lawsuit, brought by northeastern Pennsylvania’s Mount Airy Casino, which was one of the underperforming properties. Mount Airy attorneys also threatened to sue to block a replacement formula which was drafted by state pols last fall, again on constitutionality grounds. Technically, Pennsylvania does not have a revenue-sharing deal in place with its licensed casinos right now, even though the casinos have been voluntarily continuing the previous payments in the expectation of a new agreement. However, the form any such agreement will take is uncertain. The budget problems put the state between the proverbial rock and a hard place. Legislators would like to strong-arm the state’s casinos into paying every bit as much as before, but given the unconstitutional nature of the old deal, that might not quite work out. And, to magnify everything else, Pennsylavania’s licensed gaming operations already pay one of the highest tax rates in the nation. Expecting that the state’s wealthier casinos will happily pay an even larger chunk of the expected tithe to the state to counterbalance the problem with the old tax formula is also likely a no-go. The state could look to the online sector again, though it must overcome the same partisan problems that eventually doomed last year’s push. Or it could look toward other ways of expanding the official revenue pie, such as legalizing and taxing revenue from the estimated 30,000 to 40,000 bar-top video slot machines that proliferate illegally in the state. 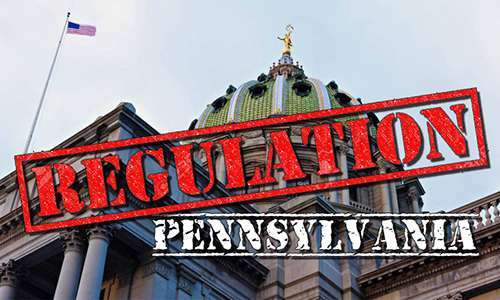 Legislative backers of that approach tried to attach such a mandate to PA Rep. John Payne’s online-gambling legalization bill last year, but the resultant confusion and competing priorities resulted in failure for every option on the table. Will confusion reign again in 2017? “The days of doing nothing are over at this point,” said PA State Sen. Kim Ward (R-Westmoreland), who has been part of the online-expansion camp. It was Ward who issued the call to the casino representatives to come to Harrisburg this week, though, again confirming that all options are in play, and that the state expects that one way or another, the state’s gambling entities are going to be expected to help close that budget shortfall. 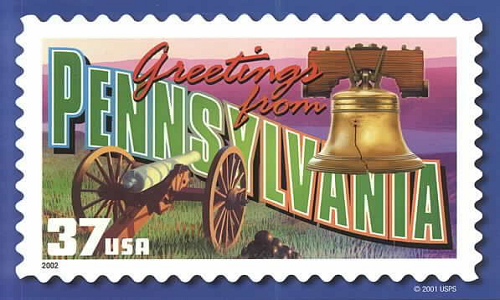 The summit on January 3rd appears to be the starting point for several months of very heated talks on all thing gambling in Pennsylvania. Out of this looming chaos, the state might emerge as the fourth such US jurisdiction to legalize online gambling. It’s not, however, going to be an easy fight.